Kvlt, gr1m AND tr00, this is overall some what a mix of Darkthrone's dark melodies such as Transylvanian Hunger, Mayhem's aggression and Emperors synths. Pretty bitchin. 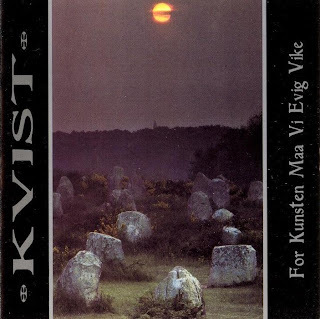 Kvist means twig in Norwegian. Interesting.